Yeah it's a new addition to my jewelry collection - Leaf design earrings from a www.bornprettystore.com and their jewelry and accessories line! I'm getting pretty obsessed with their jewelry pieces guys, such a nice quality for affordable prices. They have so many pieces to choose from! 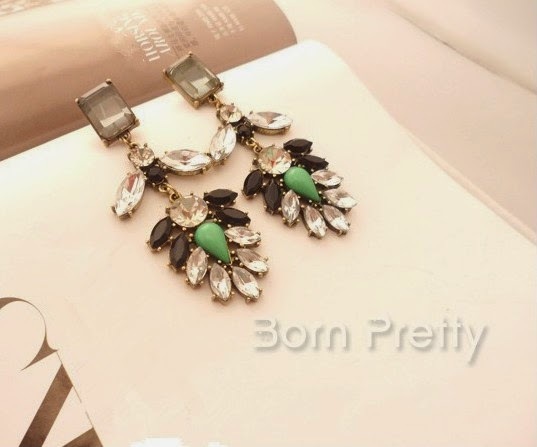 Can you imagine these beautiful statement earrings were only $3.99!!! And with the 10% off coupon code MMVT10 and free shipping it can't get any better!!! They inspired this bit edgy look! Wearing my recently thrifted boyfriend jeans with this mesh puma bodysuit from Bershka and faux leather vest ( that was actually a jacket from Stradivarius that I cut the sleeves off ). Tell me are you into statement jewelry pieces as well!! ?